Solas Art Gallery hosts three group exhibitions a year, inclusive of a junior exhibition, solo and joint solo exhibitions. Our extensive calendar of events equates to twelve official openings. Other annual activities include our 'invited national or international artist' to exhibit their work, innovative art endeavours for National Drawing Day and a variety of invigorating performance arts for Culture Night. As a community led gallery run on a membership basis, it gives member artists access to exhibit in three group shows and the opportunity to apply for a solo or joint solo show biannually. All artists exhibiting are fully supported and guided by the collective knowledge and experience of the voluntary committee members of the BCAG. Solas Art Gallery encourages its many members to participate in the many activities of the gallery, to collectively nurture the essence of this community based enterprise. 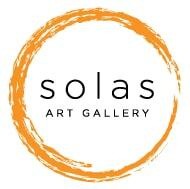 For further information, please contact Gail or Ben at 071 964 4210 or info@solasart.ie or follow us on Facebook.